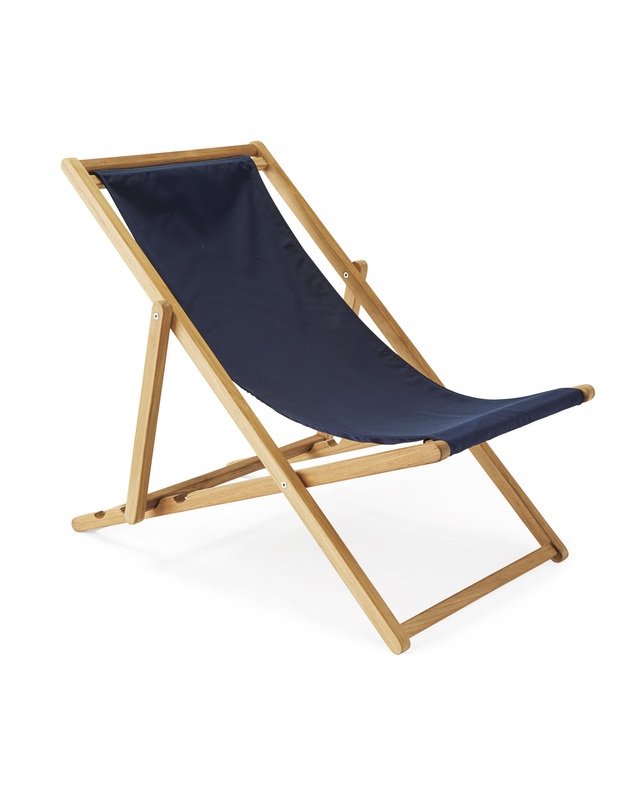 Teak Sling ChairTeak Sling Chair, Navy alt="Teak Sling Chair, Navy"
Print A laid-back favorite, our classic sling pairs a sleek teak frame with weather-friendly fabrics in a range of solids and patterns – so you can withstand the elements in style, season after season. 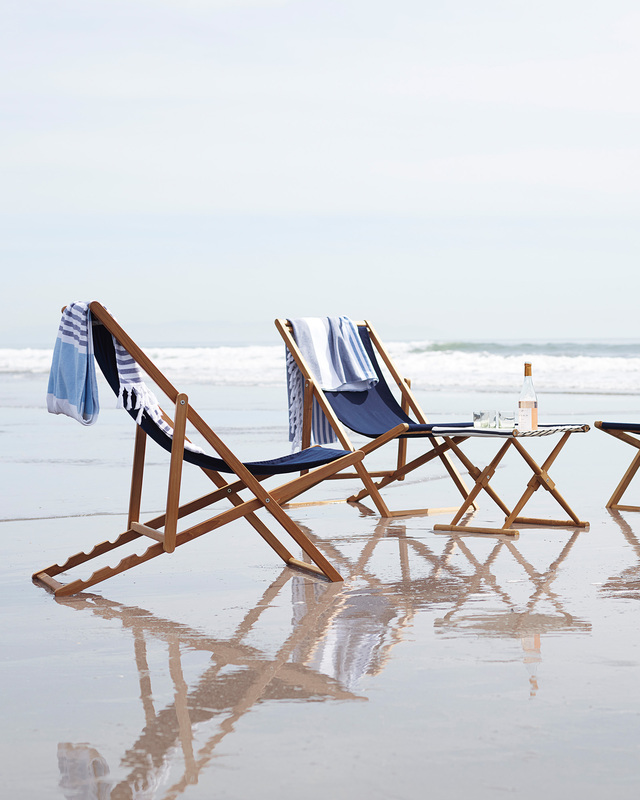 Over time, teak will take on a silvery grey patina, giving your chair a look that's full of character. All sling fabrics are double-sided, so they chair looks good from every angle. 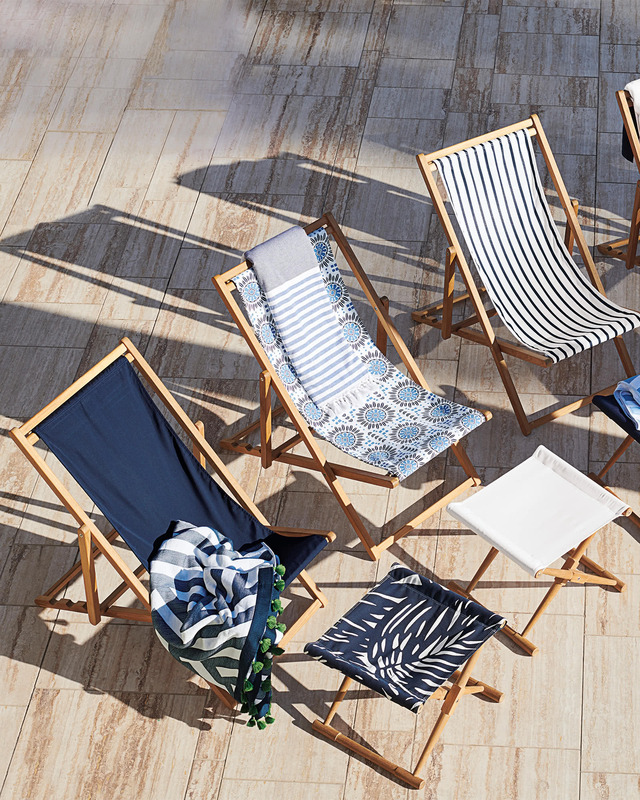 White, Navy, Lido Stripe, Hyannis Stripe, and Compagnia are made of double-sided all-weather Sunbrella® fabric and resist staining, fading, mold and mildew. 25"W x 43.5"D x 36.5"H overall.